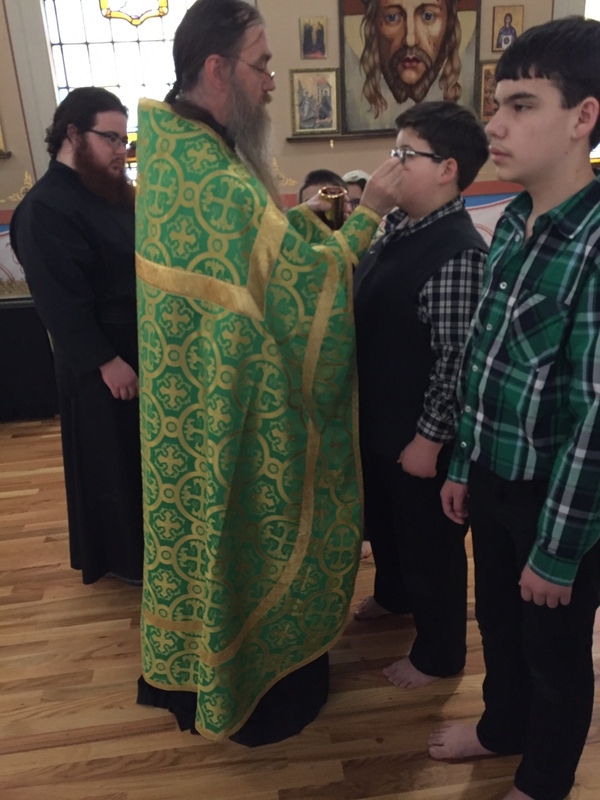 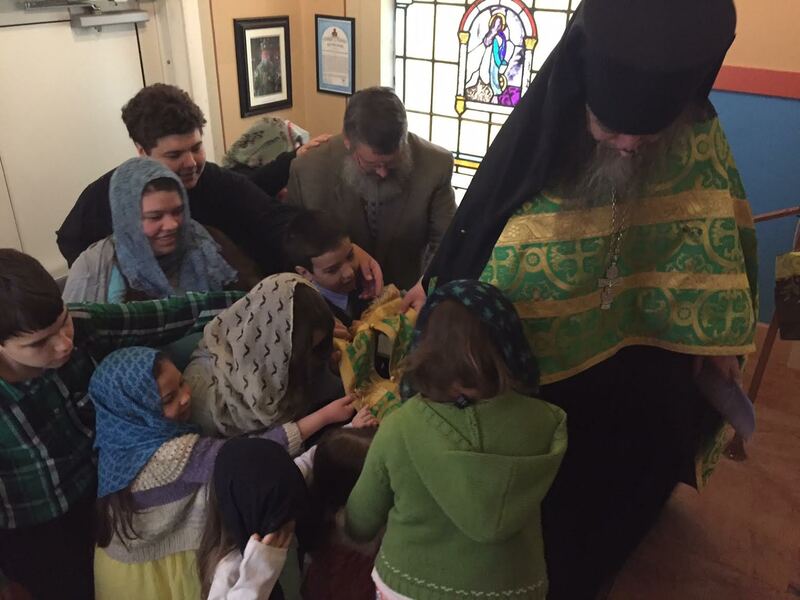 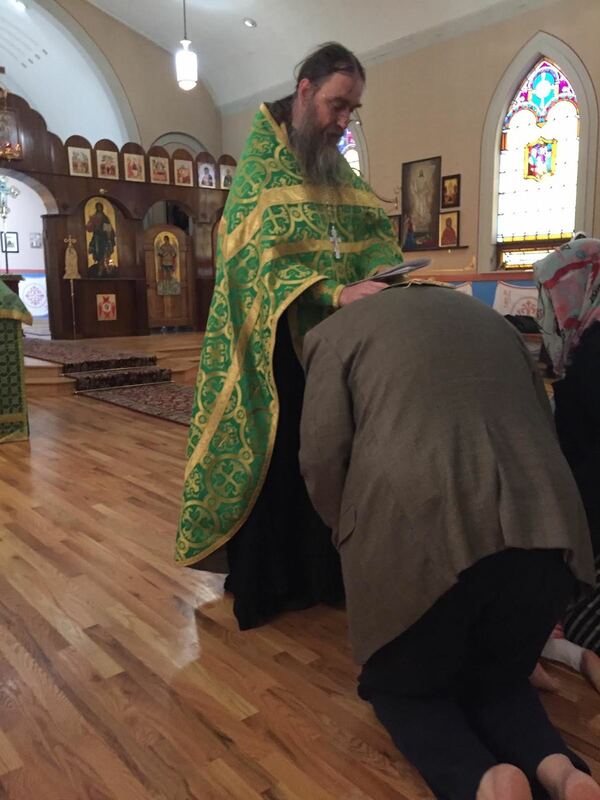 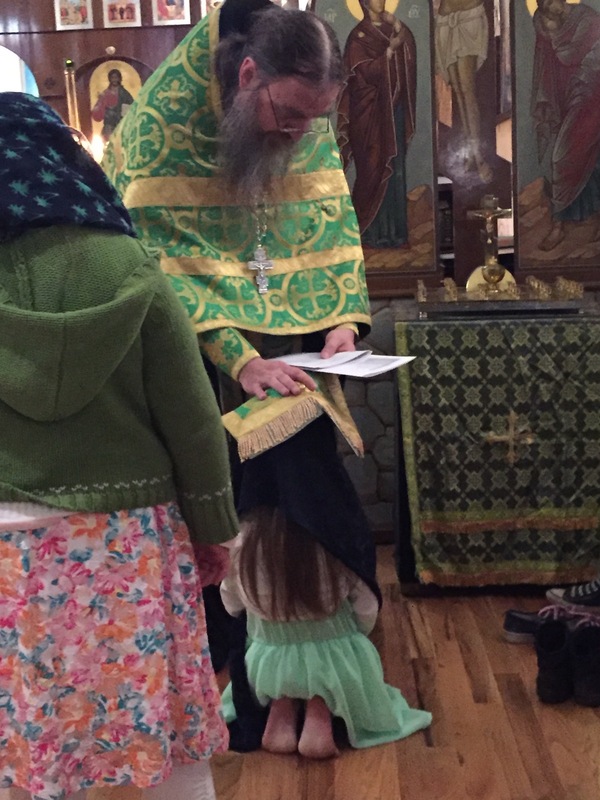 On Lazarus Saturday, the church of Saints Sergius and Herman of Valaam in Houghton, Michigan had a special reason to sing “As many as are baptized into Christ, have put on Christ, Alleluia!”. 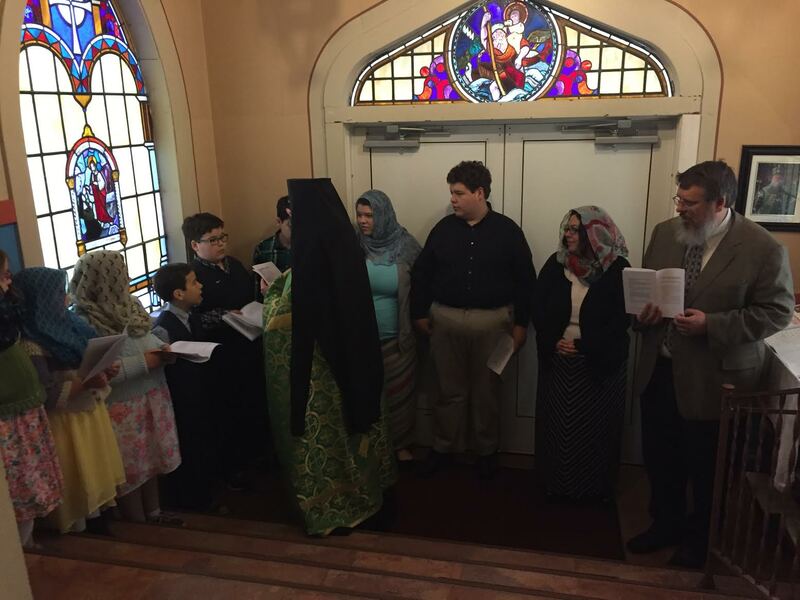 Benjamin (Procopius) and Melissa (Elizabeth) Naasko and 10 of their children were received into the Orthodox Church. 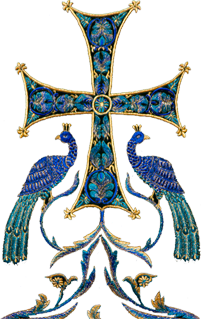 The Naasko family was well known to us and good friends of our parish for years. 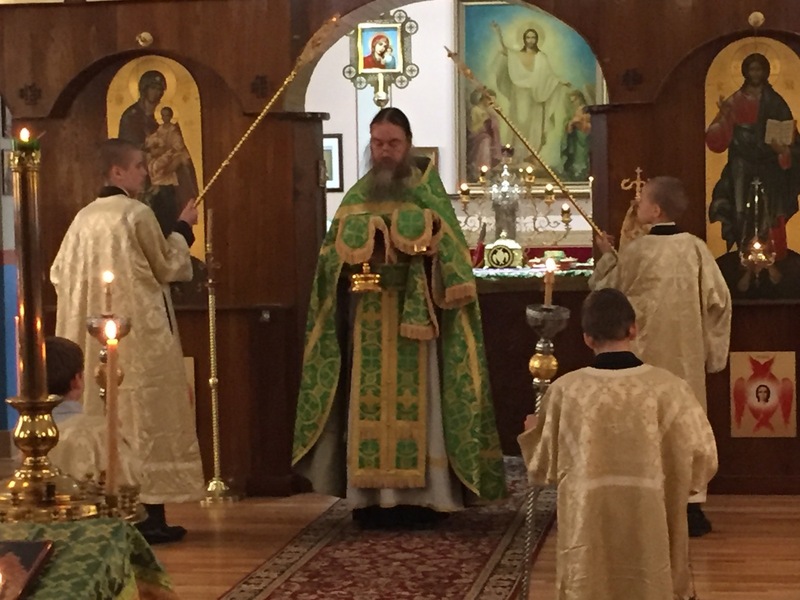 To the best of our ability we provided hospitality in our home and tried to be examples of an Orthodox Christian life. 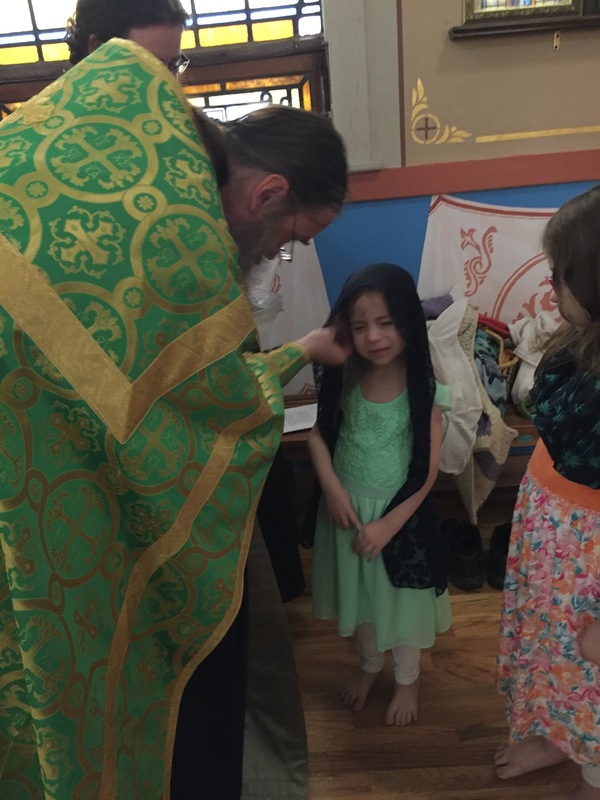 It is with great joy that we received this pious family into the Church. 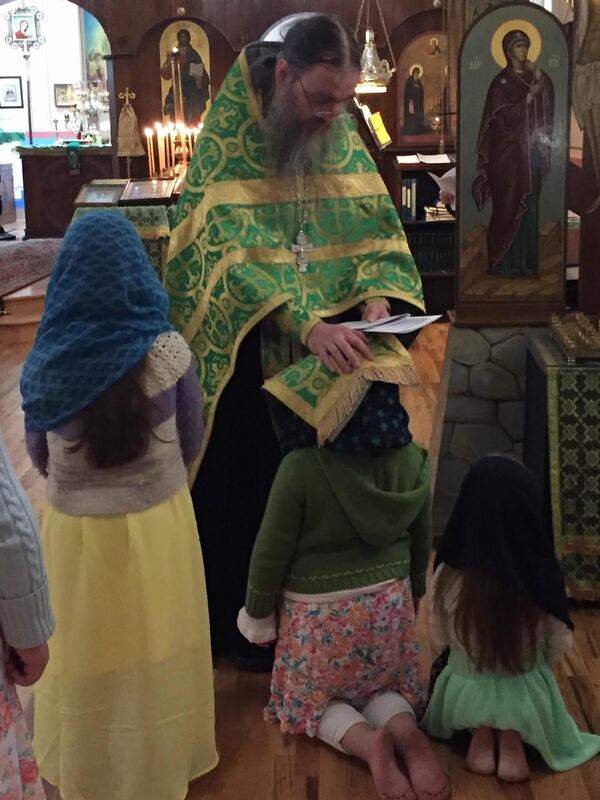 It will, God willing, invigorate our services and church life, with especially the children serving in the altar, singing in the choir and helping out in general what is needed. 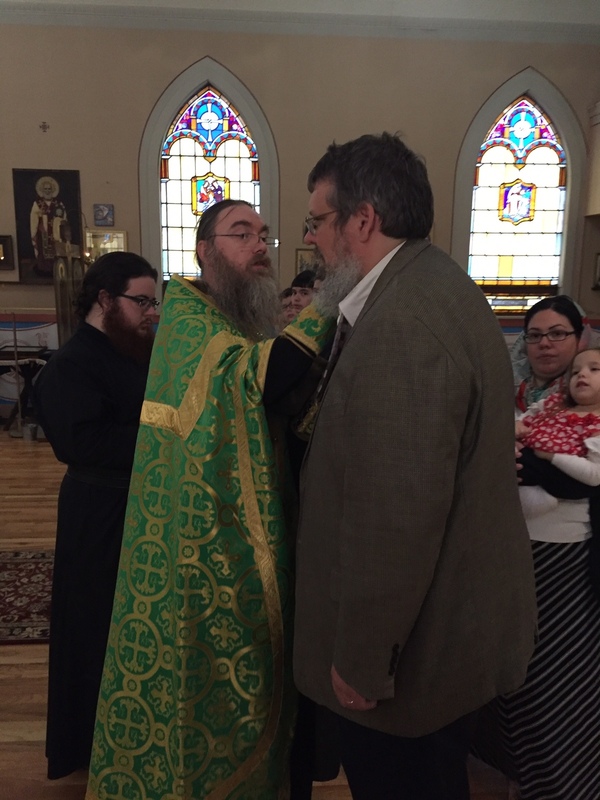 Glory to God for all things, and Many Years to the newly illumined.